The album’s production was made possible through a Kickstarter campaign launched last summer, and frontman Joel Hasemeyer took some time to tell The Banner what this record means to the band. Q: How did the Kickstarter campaign work? What was your response to its success? A: It was very crazy and very stressful, but really amazing to see it all come together in the end. We felt a lot of weird emotions during that campaign, as it feels like a quantifiable means to see how much people believe in you or something, and then when people give, it’s like, “OK, pressure’s on! This thing better be good!” It’s probably not really like that, but I guess it feels like that in the midst of it. I guess another way to think about it, too, is that it’s very humbling. Quite a few people — both loved ones and fans — gave a lot to us so that we could complete this project. That’s just really sobering when we know that people gave because they want to see us do something great. Q: What inspired the title “Shelves”? A: The album title comes from the title of the first track on the album. That song is about the different ways in which we construct our identities, both intentionally and unintentionally. We thought the title fit for the album as a whole because a lot of the album is about experience, pain, love, loss, learning and developing a self-awareness that can both aid and act as a detriment to day-to-day living. With all of these things, they kind of build up and stack on the “shelves” of the individual. Q: How is “Shelves” different from your previous albums — “What We Found Beneath the Ground” and the “Infinite Line EP”? A: “Shelves” is different from our first album mostly because it’s coming from a different part of us as we’ve grown and experienced life in new ways. We’ve all matured as musicians, artists and individuals, and that is reflected in our work. “WWFBTG” was a lot more of a collaborative experiment, where we wrote mostly with one of us coming up with a smaller idea, and then we would come together and experiment with different sounds and ideas until we came up with something that seemed cool, so we’d just go with it. It was a lot about figuring out what we wanted to do without having a lot of preconceived ideas about a certain sound. 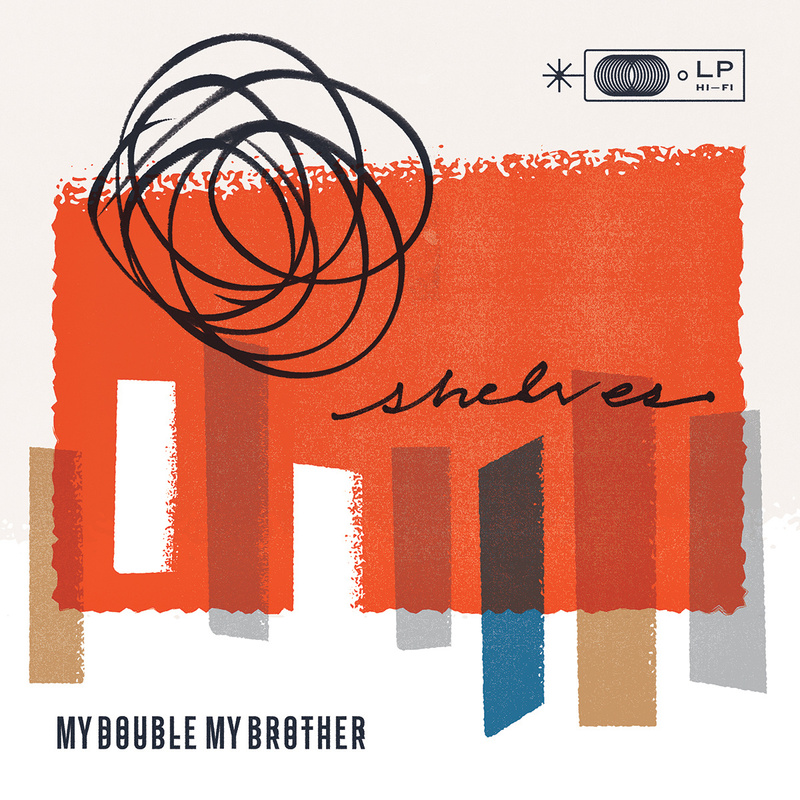 With “Shelves,” there was more of a clear vision of the types of songs that we wanted to write. The songs function more like digestible and singable “pop songs” — I use the term liberally — as most of the songs were written in whole before they were brought to the band, and then the band would deconstruct the song and rearrange it to our liking. Q: How did you choose which older songs (“I’ll Die” and “The Resolve”) you would include in the new album? How did you change or improve upon them? A: We always thought we would include them on the album. When we worked on and released the “Infinite Line EP,” it was more of an effort to, one, get back into the studio again to feel what it’s like to record music, and two, release more content to get people excited about the new album. I think merely because we had previously recorded those two tracks, when we recorded them again we were able to add new energy and rethink how we wanted to approach the songs to make them sound fresh. We still like the EP versions, though, so it’s fun to have both that people can listen to. They’re like remnants of different moments. Q: The album art for “Shelves” is a lot brighter and more abstract than your first LP. Who designed it and how was it conceptualized? A: John Choura Jr., who actually did the art for our first album as well, designed it. We knew we wanted something pretty different from the first album that would mark the changes we’ve made in our approach to music, so when we thought about the design I talked with John and sent him some samples of various color schemes and designs I liked, and then we talked about some of the ideas and themes that run through the album, and he came up with what we have. He really did a fantastic job. He’s such a great artist. Q: How does this album represent where you currently are in life? A: The album is autobiographical in some senses. A lot of the songs deal with my own personal experiences and how I’ve learned and changed, or not learned and not changed, from those experiences. That’s not to say that everything contained within the album can be placed exactly at a given moment in my life, or that after each verse I could say, “Well, that was from when I was with this or that person,” but it’s more about ways that I could effectively convey the ethos of generalized experiences that are meaningful to me through concise statements, anecdotes and images. A lot of times, the poetry of the song had to serve the song itself at the expense of being “true” to actual moments in time, but that’s OK sometimes. A: I suppose the main ideas that I’m always thinking about and writing about are the different ways in which the past informs the present, and how that affects the way we understand our role in the world. Also, how that understanding of our role affects how we perceive possible futures, which in turn functions to affect how we enact our present role. Q: Where did you record the album, and who produced it? A: We recorded the album with a producer named Jon O’Brien. He is such a great guy and was such a joy to work with. He made the album sound better than I could have ever conceived of it sounding. It was really great to have another creative person on the project who cared just as much about it as we did. Q: Do you have musical inspirations that influenced this record? Were there any songs/albums you had on repeat outside of the studio while working on this album? A: We were all listening to a lot of stuff while we were writing. Among some of our favorites would be Andrew Bird, Arcade Fire, The National, Wilco and Pedro the Lion. Q: How does your personal faith influence your music and lyrics? A: I come from a Christian background and have always found myself between doubts and devotion, and I guess that struggle is still present in my life. The first album was probably more explicit in dealing with ideas of faith, whereas this album maybe takes a more humanistic approach and is more about various relationships. However, the ways in which I think about those relationships certainly is influenced by how I’ve perceived the interaction between my faith and those relationships. Q: What kind of response to the record are you expecting? A: We really just hope that people like the songs and connect with them. We hope that the songs feel real and honest and that they become meaningful and personal to the listener. Q: Do you have plans to take “Shelves” on the road or do a series of local shows promoting it? A: Yes, we are currently working on booking a series of shows up the coast, and then a tour in the summer. All TBA, though.